How does your Anna Karenina look? Is she tall and dark-haired? Homely or elegant? Can you picture her nose? And what color is Ishmael’s hair? What does he wear? These are but a few of the questions Peter Mendelsund explores in his exciting book What We See When We Read. Mendelsund is the associate art director of Alfred A. Knopf and art director of Pantheon books. In his book, which is subtitled A Phenomenology with Illustrations, he explores what it means to read and what types of pictures are created in books and in our heads. As readers we are often not conscious that the images we see before our inner eyes correspond only to some extent to what we find on the page. Our own imagination embellishes, we write along. That’s why we so often find fault with the way characters and settings look in movies. “No,” we say. ”This isn’t what I’ve imagined.” Returning to the book, we might discover that what we imagined isn’t any closer to what the author wrote than the choices the film director made. 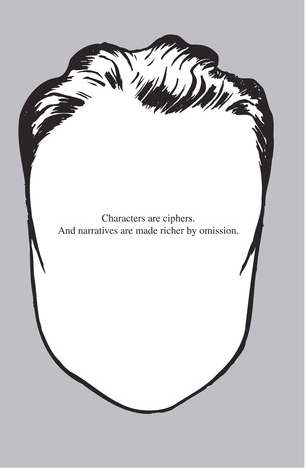 “Characters,” Mendelsund writes, “are ciphers. And narratives are made richer by omission.” I agree with him. Most readers would. Isn’t there anything more tiresome than a description that is so detailed that you feel your imagination crumble under the exhaustion of picturing exactly what you should see? Mendelsund also questions whether we are still able to imagine like people in the era before movies, TV, and the Internet. And what about children? Do we teach them how to imagine through picture books? Are they born with their imaginations? And has everyone the same imagination? While I nodded in agreement most of the time, and stopped reading frequently because I found an observation so interesting, there were a few moments when I disagreed. Mendelsund states, for example, that we all fill in gaps with things we are familiar with. 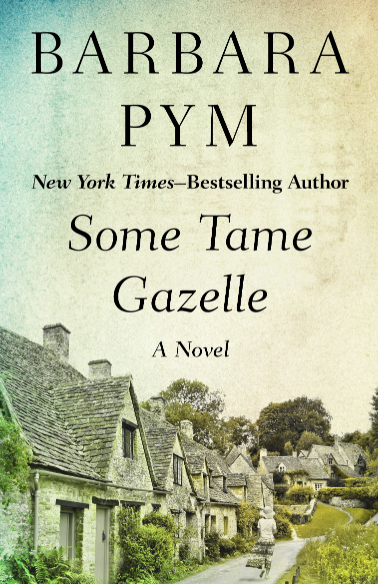 If a book is set in a foreign country, we will still see our own backyard. He mentions that while reading a documentary on Stalingrad, he pictured the streets of Manhattan. I certainly don’t do that and I’m sure I’m not the only one who doesn’t. The best thing about the book however is that it’s like a picture book for grown ups. It has illustrations on almost every page, makes elaborate use of different fonts, font sizes, and placement of text and, in doing so, enhances the experience, adds to the questions, and illustrates the points. Be prepared – if you read this book, you’ll want to discuss it. Mendelsund may not always be right, but he’s always stimulating and thought provoking. I certainly enjoyed this book a lot. Great review and thanks again for introducing the book to me. Have loved reading it together. Thanks, Jolene. Yes, it was great. Definitely a book worth discussing. It is. there’s so much we’re not aware of while reading. Rebecca covered this for Shiny and I was really taken with it then. I’d forgotten about it in the meantime, though, so your review is a timely reminder. It was published alongside a book of cover designs by Peter Mendelsund that others at Shiny loved, too. Apparently they made a very intriguing comparison! But I agree, I have never imagined the streets of Cambridge when reading about Moscow or New York and that does seem an odd thing to suggest as universal! I have to have a look at his other book. I find cover designs so fascinating. I didn’t think you’d picture Cambridge while reading. It’s a very bizarre thing to assume, sin’t it. But the book is interesting. I think some readers held these observations against him though. I’d be interested to hear what you think of it. Calling it a Phenomenology is a bit misleading because it’s not very rigorous. Yes but sometimes a film is cast with actors and actresses who are nothing like the way they appeared in the book, so then it’s not an issue of our imaginations. I am sure I would find this interesting as you know I am fascinated by the book/film connection. I agree with you, the point about seeing our backyard or Manhattan seems way off. There’s not that much about book/movie connection, it’s really much more about what we imagine and how it compares to what the writer had in mind or wrote. Very weird to see Manhattan or – in my case Basel or Paris – while reading. Looking at the cover of the blurred face of Anna Karenina made me think that sometimes I can be put off a classic (and there are always so many versions to choose from) if there’s a depiction on the cover that doesn’t quite match my image. I’ll look at other editions. I’ve had this reaction as well. It can spoil a lot. This sounds fascinating. It seems to address all kinds of worthwhile and interesting issues. Personally I feel that I have trouble picturing reality when reading fiction. I have actually consciously attempted to get better at it. I have read a few books and articles on brain function and human consciousness, the authors David Chalmers and Daniel Dennett come to mind, that also delve into some of these same issues. Interesting. In some cases I see a movie while reading and often it’s more vivid thatn watching a film but Ive been told not everyone is like that. Thanks for your suggestions. These are topics that fascinate me as well. This sounds really interesting, and I like what the author says about the narratives being made richer by omission. As a reader, I want to read books without space to allow my imagination to do some of the work, whether it’s with characters faces, personalities or particular scenes. I’m sure it would make a great present for book-loving friends, too. It is interesting. I have a hard time with books that describe every little detail. It would make a great gift and a great book for a group discussion. This seems to be a very interesting book. I like the idea of pictures in this one. Thanks for introducing me to it. You’re welcome. I think you’d like it. I suppose, like me, you wouldn’t agree with everything but it would make you think. I hardly ever like the cast. The pictures are an importnat part. It’s really well done. That is really interesting, Caroline. I agree that he’s wrong about imagining your own backyard. I never do that because I’ve traveled a lot and have watched quite a few foreign movies. Even if I hadn’t done those things, there’s no way I would imagine a place like Vietnam looking like my backyard. Also, I tend towards novels that have a great sense of place–I really enjoy descriptions that bring the setting alive. I don’t need five paragraphs, but I do want to know what it’s like. And, a person’s appearance can influence their own behavior and that of others. Anna Karenina would be a different book entirely if Anna had been extremely unattractive. I was wondering if travelling a lot and reading about other countries made me imagine those countries rather than my own but it’s hard to think that someone, even if he’s not all-travelled, hasn’t at least seen pictures or documentaries. I love a great sense of place as well but meanwhile I know I’m a so-called overreader. One or two descriptive elemenst make me imagine a lot but there are many people who ned more guidance. I have always been interested in how we imagine the books we read. I’d love to get in peoples heads and see how they see. I agree with you that i do not imagine all books as if they are in my back yard. I hate reading books about ‘my back yard’ and prefer to read outside of it. However, i suppose my imagination can be limited through experience and knowledge, although i do like to google things as i read so i can get a more accurate idea if the place is not familiar to me. I’m sure if i ever do go to the places I’ve read about in books, i will be most disappointed when i realise i imagined it differently! I love books that give the reader access to their own imagination. I find those books the most vivid sometimes. I think i will have to read this book. Thanks for your review. My pleasure. I hope you’ll like it. let me know. I would to know as well what other people see when they read. I bet it would be ver< stonishing to find out. I don't want to see my backyard either but I'm sure – and I know, I've imagined things the wrong way. Sometimes, when I vsit a city/place I've read about I had to get rid of my images first to fully appreciate it. I think moderate descriptions are the best way. I read a blog post on this last year but lost the link and have been trying to find it again for months without any success – so thank you for rescuing me! I’m also in agreement with other commenters in questioning the comment re imagining a book location as if it were in my own country. I’m so glad I helped you find the book. It’s happend to me in the past and it can be frustrating when we don’t find it anymore. I hope you’ll like it. I really don’t know why he assumed that people see their own backyard. One reason why I read is to discover new things, so it’s contrary to my own experience. I also think that it does broaden the horizen to pick books from non-European/US countries. This book spurs the imagination and I love your idea of it being used for discussion. 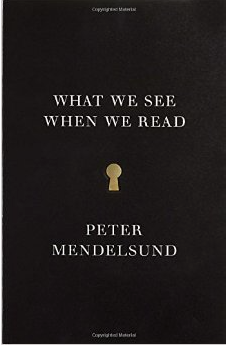 I was very surprised when getting to the part when he said we visualize descriptions with things and places that we know and thought it showed where the bounds of his own imagination are; interesting for such a brilliant book designer. Also really enjoyed his book ‘Cover’. Thanks for the heads up regarding “Cover”. I think I’d love to read that as well. I read this with others and it was a great discussion. Everyone was puzzled by that “seeing your own neighbourhood” comment. I guess you’re right in saying his own imagination might have limits. I’m glad to hear you liked it as well, though. Well of course we imagine things based on our own knowledge but it doesn’t mean we are limited by it. I certainly don’t go into very much detail when I try to imagine what characters in a book look like. Anna Karenina is beautiful and slim of course but I don’t know what color her eyes are or the shape of her lips or the way she holds her hands. For me it’s more a question of “ensemble” rather than a multitude of details taken separately. Does that make sense? It does make sense and I think I do the same. 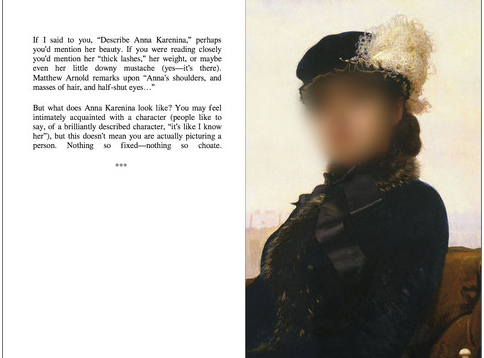 The picture with the smudged Anna Karenina is quite close to what I would come up with if I had to describe in details. It’s not that important for me. I’m more interested in setting. I did not see the pictures when I wrote the comment. For some reason my browser did not load them, but now I see what you mean. I’m interested in the characters but overall the story is more important. I agree. Of course, as someone said, if Anna Karenina had been plain there would be no Anna Karenina but whether her hair is brown or blond, I couldn’t care less. I’m so late to this post, Caroline, but I found your review quite interesting. The psychology of how we each fill in the blanks with our own particular preferences is the underpinning of the entire reading experience. I think this is why I usually prefer the book to the film. In the film, it’s the director bringing his or her vision to the project, but when I’m reading the story, I get to do that myself and I usually feel it’s a richer experience. I think that might be a reasons why I can watch a movie about war but have a hard time when I read a book. My imagination is too vivid. I found the book helpful for my writing as well. I’ve heard writing teachers say that especailly those with a very vivid imagination sometimes leave out key elemenst in description. 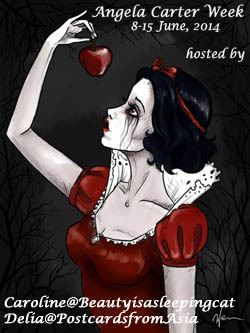 It’s a book for readers and writers alike. This looks like a fascinating book, Caroline. I loved what Mendelsund said – that narratives are made richer by omission. Very true, I think. I am not very sure how we fill our gaps – I think sometimes we do it based on what we know and what we are familiar with, and sometimes we do it based on our imagination which is not necessarily based on things that we are familiar with. It is also interesting to ponder on whether our imagination is becoming more predictable because of the influence of films, TV and the internet or it has become richer. I don’t know the answer to that one. Thanks for writing about this book, Caroline. I can’t wait to read it. I hope you will read it and we can discuss some more. I found it so interesting. I really agree that omission makes it richer. I don’t like descriptions that are so detailed that I feel forced. I need only a few brush strokes to get a vivid image. Maybe not entirely the one the author had in mind but if it works? I suppose not everyone’s imagination is as vivid and so it’s difficult to find out whether the influnece of TV, movies chnages it. I don’t think so, in my case. Waht is chnaged is the attention span. Not the imagination. I still need to have a look at his other book about book covers. that should be interesting as well. I’m sure they also help created images or a mood.